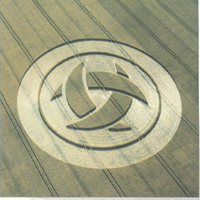 Our company logo is based on a crop circle I saw a few years ago in South Wales (see arial shot [here]). The configuration shows how our 3 passions intersect: enabling internet technologies, life-long learning, and the Deming management philosophy. Virtually every pursuit of Breakthrough Systems is based on these. The total economic burden of workplace injuries ranges between $125 billion to $155 billion!! According to the Safety Index, overexertion, or injuries caused by excessive lifting, pulling, pushing, holding, carrying, an object resulted in $9.8 billion in direct costs. Repetitive motion injuries accounted for $2.3 billion. Contrary to conventional wisdom, this is not a cost of doing business. Virtually all of these injuries could have been prevented with effective Human Factors Engineering. Despite the costs, few companies seem to be interested in correcting their process and products. For those that are, the solution lies in carefully analyzing their workplaces and correcting or removing hazards. On-site audits of your work processes to reduce injuries. For more than 20 years, Breakthrough Systems has been performing workplace audits, helping companies protect their employees, their assets, and reducing costs. Often starting with "workman's compensation hotspots," Breakthrough Systems audits your workplace for compliance with HFE guidelines and makes recommendations for corrective action. We have trained hundreds of professionals in sound HFE practices and effective countermeasures. For the last 8 years, we have delivered Human Factors Engineering courses for the Masters of Quality Assurance at California State University. In accordance with 17 USC §506; 18 USC §2319; and Public Law 105-147, the No Electronic Theft Act; this web site's structure, graphics, and content Copyright © 1994-2006 Breakthrough Systems. All rights reserved worldwide.